By the grace of Param Pujya Dada Bhagwan our kramic tuber is separated. Now what should be our spiritual effort to become tuberless? Followers recognize their outside sticky files (term used by Dadashri for the non-Self accounts, presenting in this life as individuals) and are able to deal with them with equanimity. But how should one keep spiritual awareness when favourable-unfavourable thoughts arise in the mind? Can we improve our unfavourable thoughts? Can we change them? How can we deal with tuber of mind and thoughts by staying in the religion of Soul? 'Mind' is the object to be 'Seen' and Pure Soul is the 'Seer' of mind. 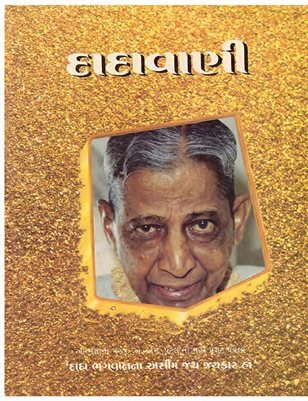 This edition of Dadavani will enable the followers to keep spiritual awareness against the mind.